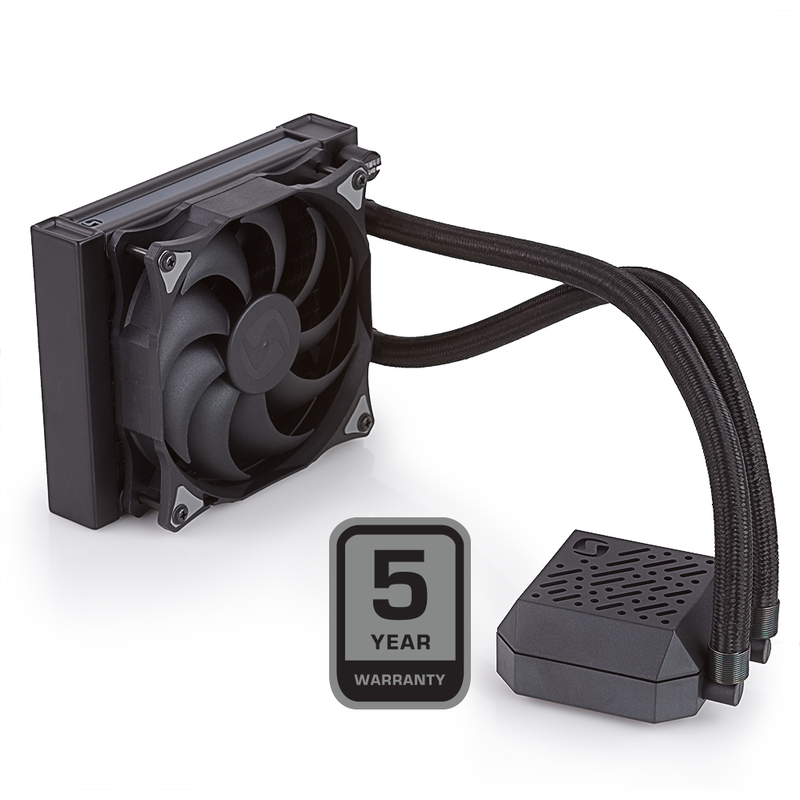 High static pressure Sigma HP RGB 120 fan is included for optimal airflow through a fin matrix. It's equipped with Hydraulic Bearing System (HBS) for long-life operation in horizontal or vertical positions and RGB LED illumination system. 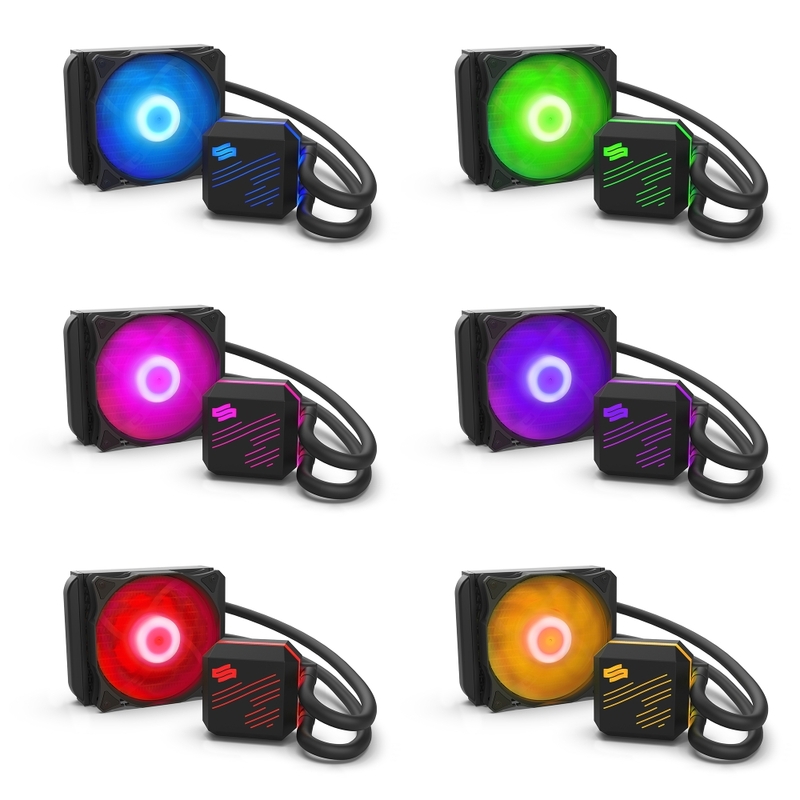 Moving liquid inside the loop is essential to SilentiumPC Navis RGB 120 performance and therefore high performence, 9-pole pump motor takes care of that providing smooth, noise-free and hassle-free operation. 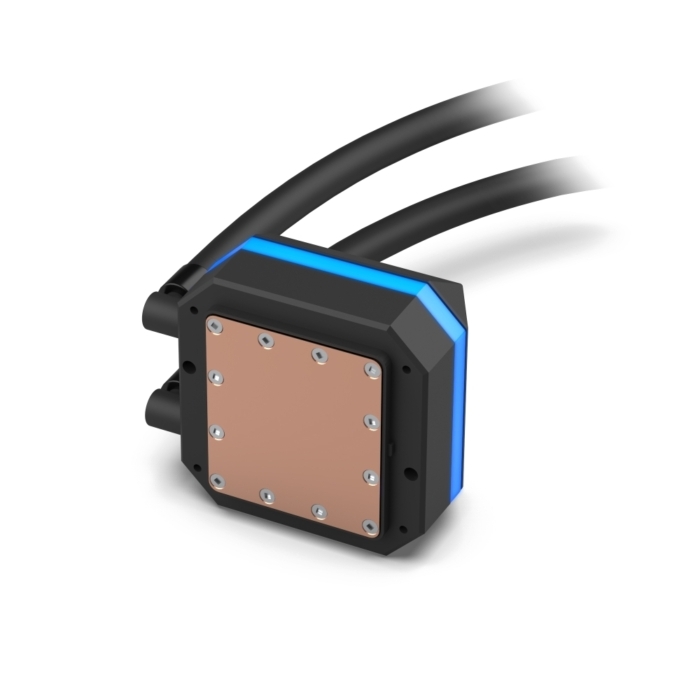 The cornerstone of a good cooling solution such as SilentiumPC Navis RGB 120 is a massive, copper cold-plate with series of flow-optimized channels which enables efficient heat transfer from CPU to liquid flowing inside the product. 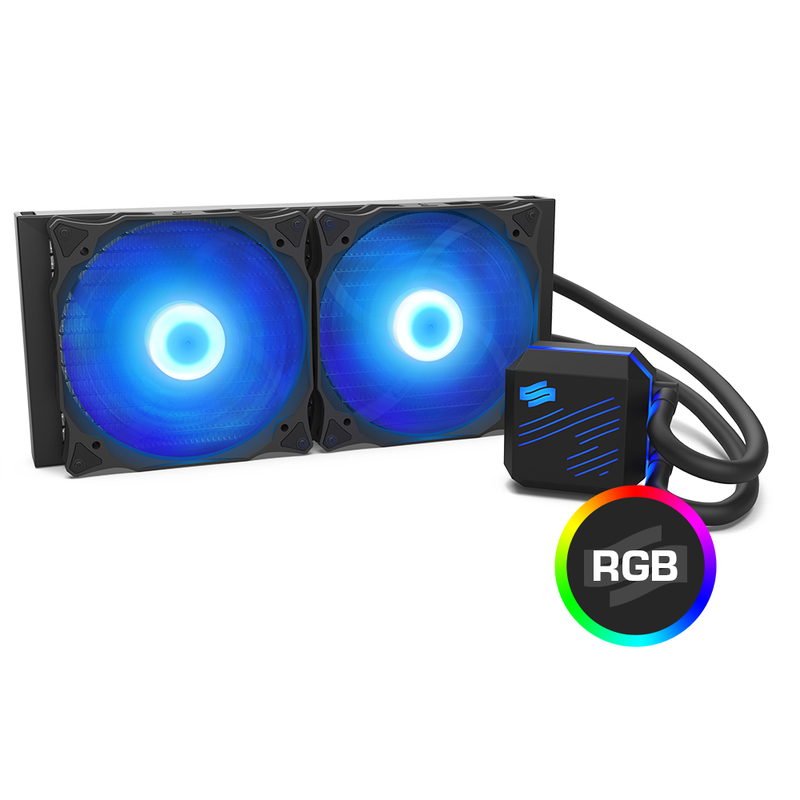 Silentium Navis RGB 120 comes pre-assembled, filled with liquid and ready for simple installation right on CPU, no further maintenance is required. 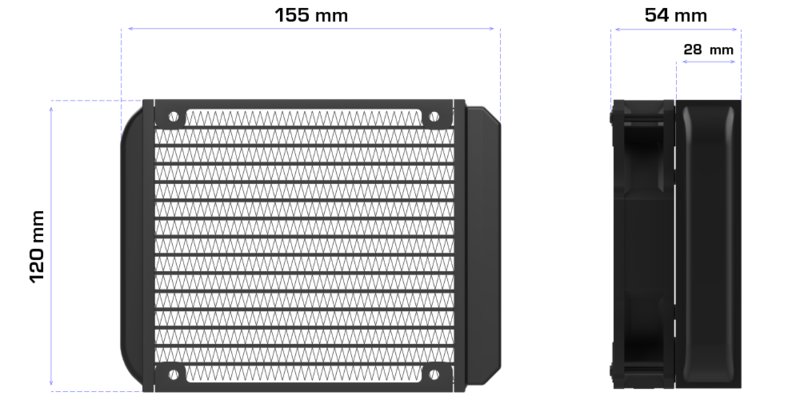 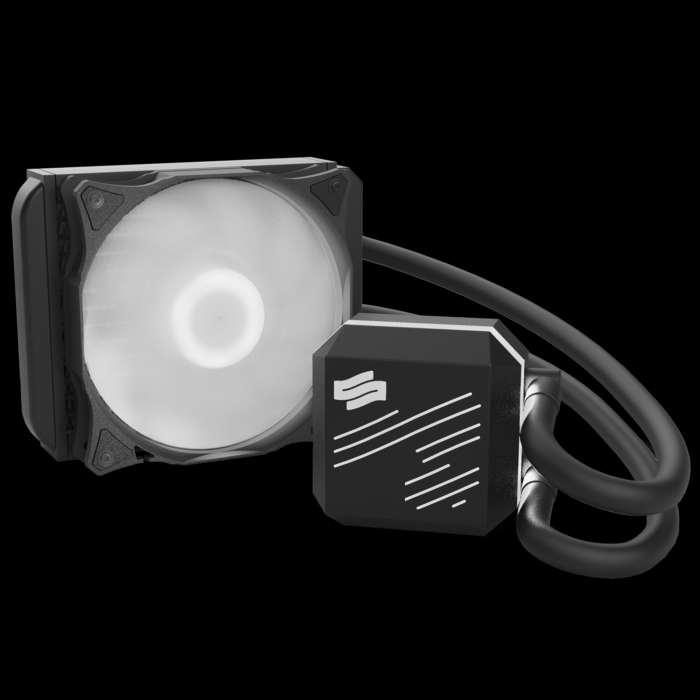 SilentiumPC Navis RGB 120 is equipped with all-aluminum, single, 120 mm radiator which provides better heat capacity than standard air cooling solutions. 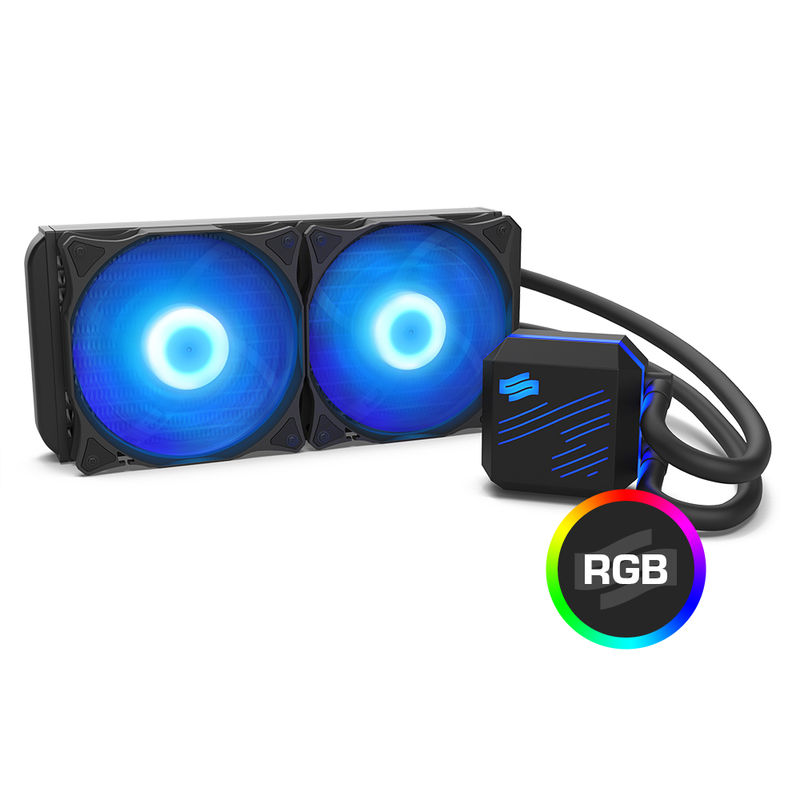 This makes Navis RGB the most suitable product to cool overclocked, high performance CPUs. 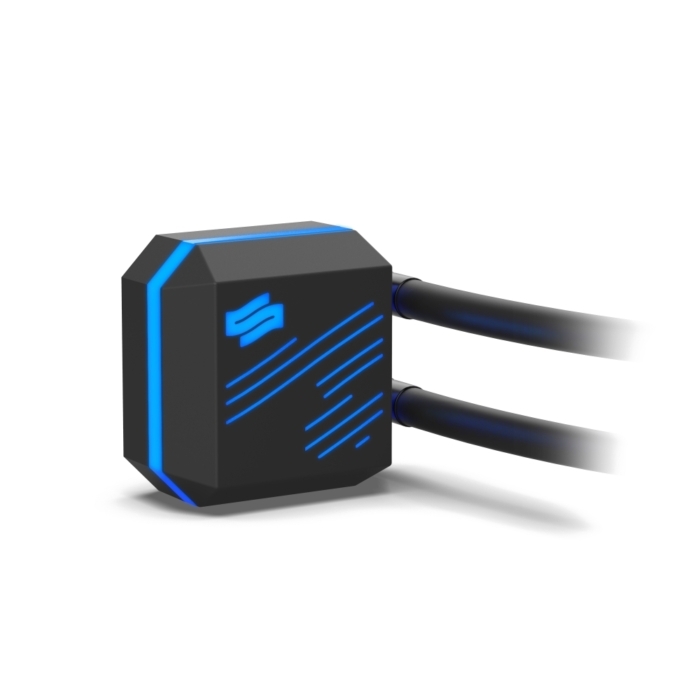 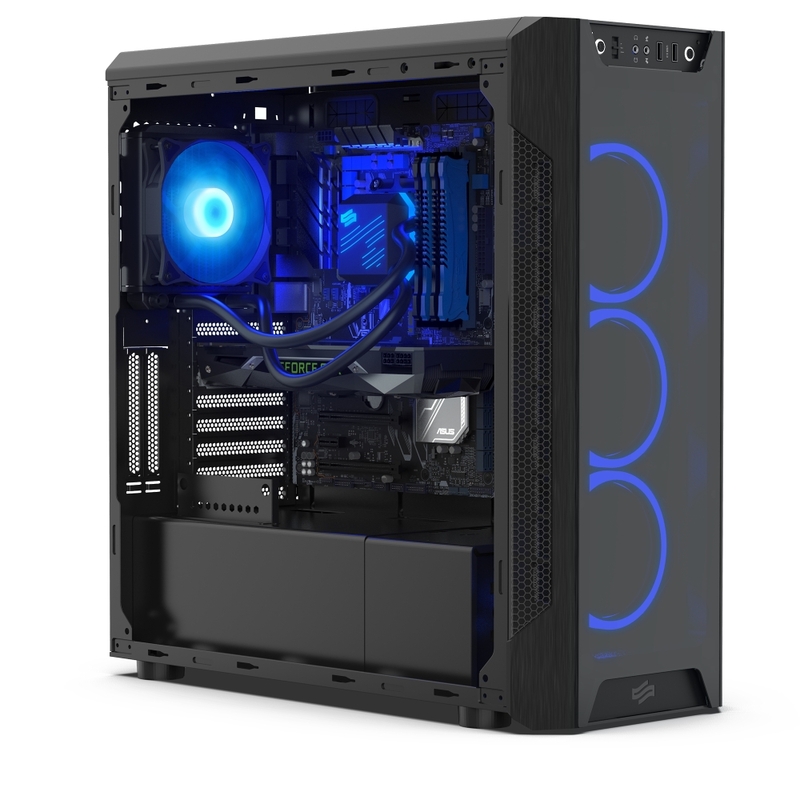 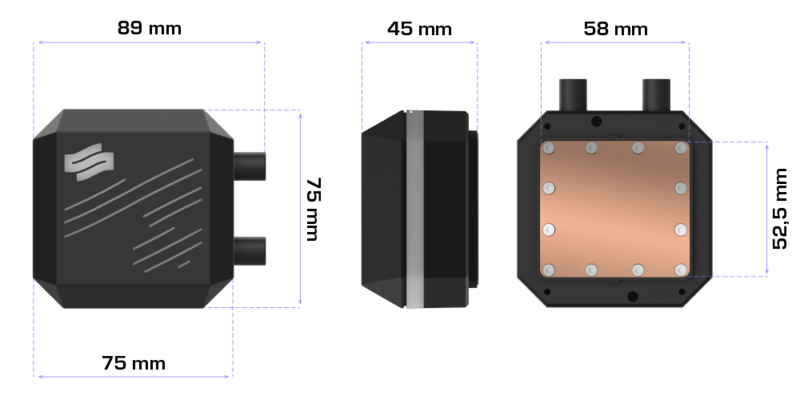 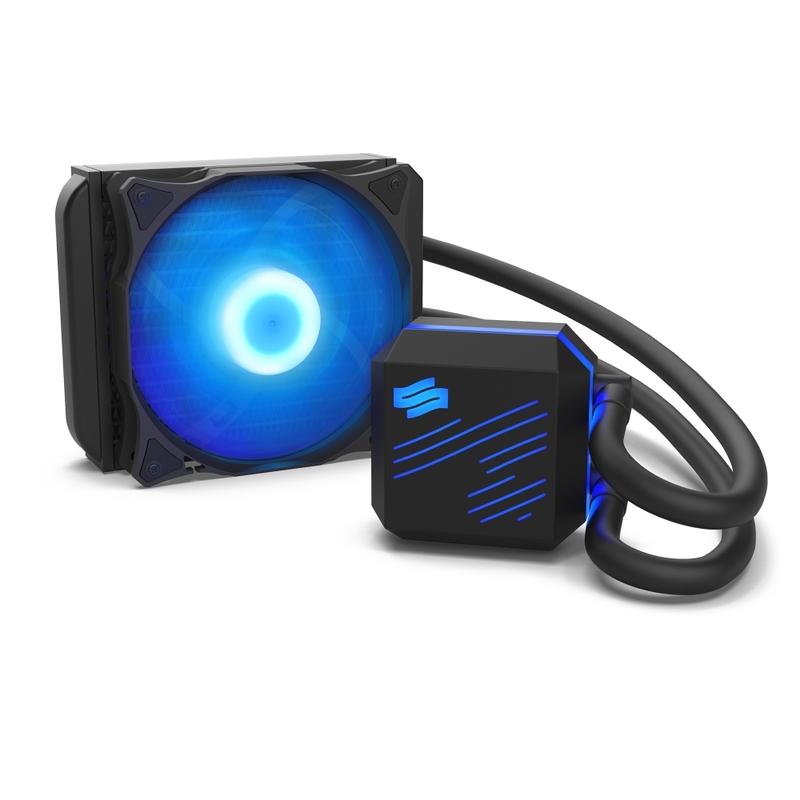 Every piece of SilentiumPC Navis RGB 120 cooling solution is connected with 380mm long rubber tubes that are extremely durable, yet flexible allowing for multiple installation options. 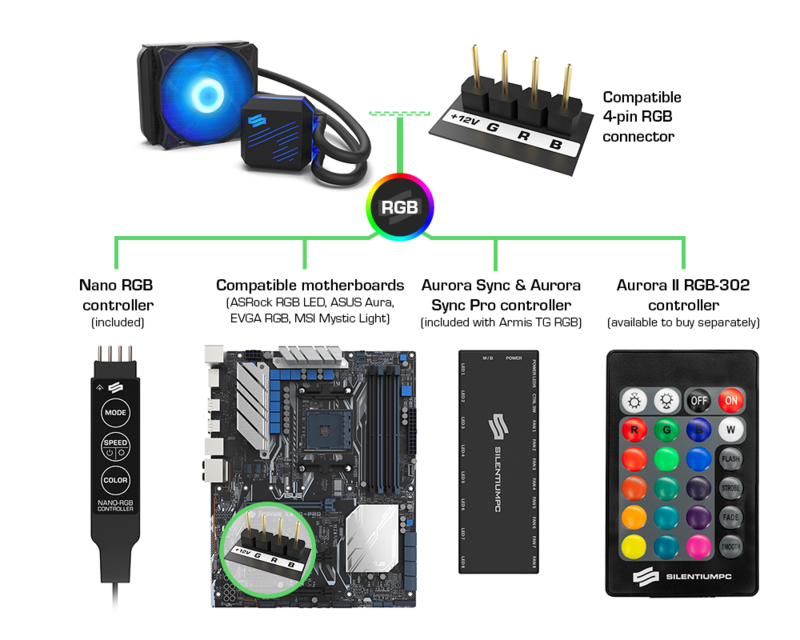 Alongside SilentiumPC Navis RGB 120 there's Pactum PT-2 (5.0W/m.K) thermal compound included which ensures high performance of the all-in-one liquid cooling solution.